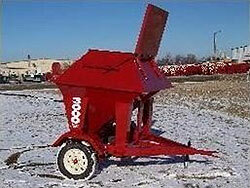 The Feed Train 1-1/2 Ton Mobile Bulk Bin Features a 3250 Lb. 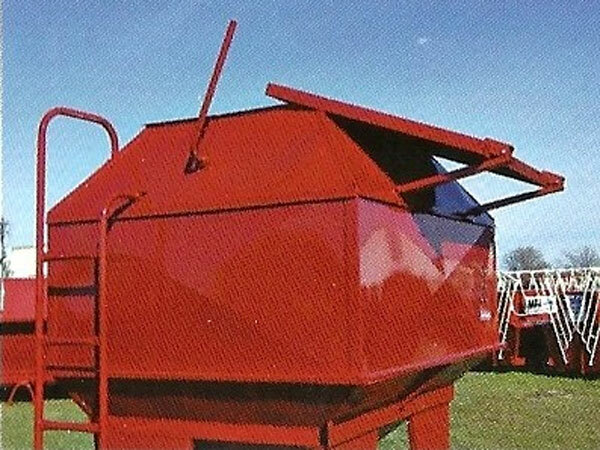 Shelled Corn Capacity, Fenders as standard equipment, a single 3500 Lb. axle with spring suspension, two built in steps for easy view of the commodity inside, handles on both sides for safety, lid opens either from the ground or while on the fender step, Internal Feed Gate and Automatic Feed Gate Lock, 10 gauge formed frame, fully weatherproof, and can be towed at full capacity. Sturdy 14 gauge steel construction, with a 12 gauge front on the cone for added strength. At 36" by 48", we have the largest lid opening available on any commercial bulk bin. 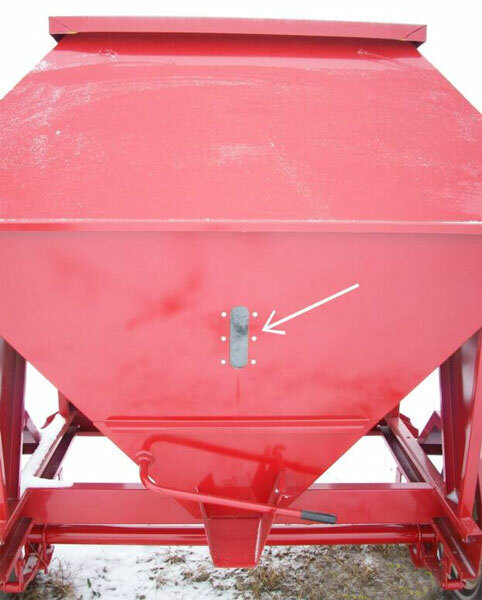 Opening is handled by our easy opening mechanism, similar to our creep feeders. Convenient windows that enable you to check the capacity levels without climbing. Weatherproof and rodent proof, our bulk bins can be stored outside with no worry of feed or grain spoilage. Internal feed gate for ease of use and no worries about inclement weather keeping you from your commodities stored inside. Easy adjust feed gate with automatic lock ensures that animals cannot tamper with the feed gate. 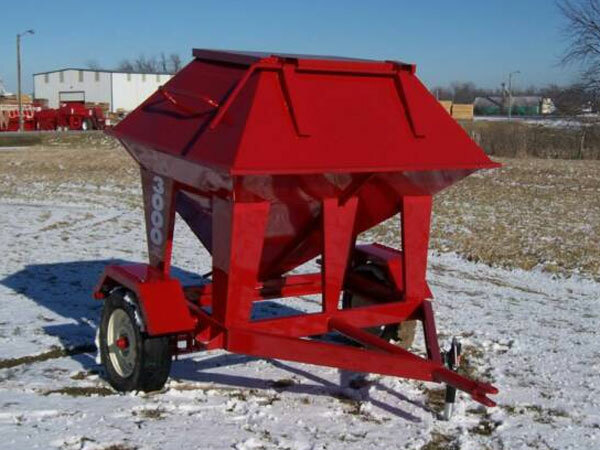 Every Feed Train Bulk Bin is painted with our trademark high visibility red paint for years of service.